If you are looking for support to let go of habits, thoughts, experiences, and feelings that are holding you back from having the life you want, I hope we can work together. Although I have never made it an "official" specialty, most of the clients who are drawn to work with m have experienced some kind of traumatic or abusive situation at some point in their lives that keeps popping up in painful ways at times of high stress. I know what that feels like. And I would love to help you sort that out and start on a new path that feels right for you. I'm pretty eclectic and flexible in my approach, but I do incorporate techniques and tools from trauma-informed therapy, mindful awareness, brief solution-focused therapy, and my own approach called the Inner Wisdom Process. I live on a remote island in southeast Alaska. I love to travel, have deep conversations with my husband and friends, dance in my living room, practice qigong, and create things like jewelry and poetry. I offer intuitive guidnace based on a connection with what I call Inner Wisdom. I look forward to meeting you and helping you with the things that are most important to you. I love Beverly! She is a very kind, understanding and supportive experienced therapist that I have ever had. I have never felt as connected and comfortable as I am with Beverly. She is always considerate of my situation and always give it to me as she sees it which is a good thing as I was pretty much in denial of my situation when I first approached her. She helped me rebuilt my life and I can't thank her enough. Highly recommended! Beverly is amazing. She is kind and loving. I feel very much at ease to talk with her, there is no judgment or criticism, just compassion and understanding. She has given me great tips and advice that has helped tremendously, I feel like I can definitely trust her expertise. She is really helping me identify the root of my anger and sadness. I'm getting great tools and suggestions for making meaningful changes in my life. Thank you! Very nice and open. Friendly and easy to chat with! I like the fact that BetterHelp matched me up with a counselor familiar with my communities unique challenges. Beverly is not only familiar to Alaska's challenges, but lives it. Through her I have made tremendous progress. What I am grateful for most is that she was there to get me through some very difficult times. Beverly is a kind, thoughtful, attentive and awesome councillor. She’s always friendly on our calls, understands the bigger picture of what I’m going through and always has some great advice. I’m really lucky to have found Beverly on BetterHelp - I wish I met her years ago! A very friendly an understanding professional. I’m very pleased to have her as my counselor. Beverly offers sound advise. She is honest, kind, and wise. I've enjoyed her feedback. I only spoke with Beverly for about a week due to my own financial limitations and although it was short lived, Beverly was very good at maintaining positive and thought provoking questions about my situation. I felt a genuine sense of care and respect from her. I can tell Beverly is a well rounded professional who would be just the type of person I’d want to meet with in person, regularly, if I could. She has already given me a wealth of knowledge. I have already grown and am a better person at work because of it. Beverley has helped me through a handful of issues in a short time. She gives insightful feedback and doesn't take long at all to reply. Beverly has been understanding, reads my messages carefully and understands things between the lines, she seems to be an expert in her field and a kind person at the same time. I am lucky and grateful for being assigned to her. Beverly is wonderful. A very level-headed sounding board with matter-of-fact ideas and solutions. I think Beverly is a very good fit for my situation and she offers me practical advice that I can apply right away. What I'm going through is the most stressful experience so far in my life. Beverly has been a most kind, compassionate, and intelligent counselor. She has offered me advice that was constructive to a situation that I've felt lost in for a year and a half. My gratitude is endless. I am new to counseling and Beverly and I have not been working long together. I have to say that I am beyond thankful of her advice so far, and also feel like she responds quickly. I love having a counselor that I can write back and forth with, and not necessarily have to put an hour aside in my day to get some advice. I am however, very excited to schedule a video or chat session! I started counseling with Beverly and was happy to work with someone who shared experiences with me and was willing to open up about it how she dealt with that. I automatically felt less alone. After a few weeks of avoiding counseling I suffered a spike in my issues and messaged her multiple times a day with worries and she always responded back with kindness and reassurance. She lets me take my time and go over the same thing 10 times to reassure me, but also gives me techniques and skills to reassure myself. She explains everything so I can better believe it and it will work. She accepts my wants and dislikes and works with them to find a plan for me. Amazing and anyone who gets to talk with her is lucky! Beverly was exactly what I needed during a time of particular acute stress, as well as working through some life-long challenges. She provided a fresh perspective and warm, caring support while also pushing me to think differently. I really found it helpful that she had a number of really specific suggestions, and seemed to really understand where I was coming from. She is warm and nurturing and all around fantastic to connect with. In all honesty, half of what helped so much was just having someone so kind and caring to talk to, and she is very skilled in what she does. If you're looking for a counselor who is incredibly kind, empathetic, experienced, and genuinely addresses all your concerns without skimming over issues, then I highly recommend Beverly. Beverly is a great listener when you need an understanding ear, and she will also provide little activities and exercises to help you along the way. She quickly identifies what your underlying concerns are and will guide you and offer a fresh perspective. Beverly is also incredibly open-minded so you can approach her with any topic and feel accepted and welcomed. 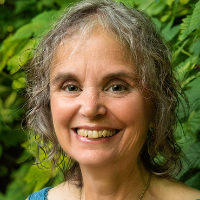 She has an in-depth understanding of various spiritual practices and can help with trauma in this field, and also with connecting you to your personal truth. What I really love about counseling with Beverly is that she empowers YOU. There's the proverb that goes: "Give a man a fish and you feed him for a day. Teach a man to fish and you feed him for a lifetime." Well, Beverly is the kind of counselor who will teach you how to fish! My counseling experience with Beverly has been mostly helpful in that she does listen more then I expected and gives good feedback and positive actions to take in the future to make life just a little better even if it seems like there's little to no hope. I am satisfied with how it has been going so far and will continue to talk with and communicate with Beverly as long as I can. I would have to say I'm impressed with BetterHelp and with Beverly Rivard. She's been nothing but great to me and my concerns. I have a really messed up schedule and can't always see a counselor in town, so this app is a God-send for me. I've only used it for a month now, but I appreciate my counselor and the help she provides along with just checking in when I haven't. Thank you Beverly and BetterHelp. I will continue to use this app, and continue to get help from Beverly because, again, I cant express this enough- she is by far the most helpful and understanding person. Beverly is able to get to the heart of each issue clearly and succinctly. She helps me to take a tangled mess and sort it out so that I gain skills at an amazing pace. I appreciate that she really cares and loves to help. Beverly is outstanding. She is not only accepting of all walks of life, but genuinely encourages and advocates for each patient. Nothing surprises her, gets a rise out of her, or upsets her. Beverly is sure in who she is, which is an underdeveloped trait in the counseling community. Her peace and assurance are infectious. She is just as happy discussing your breakfast that morning as she is your trauma. Beverly pulls from both personal and professional experiences which aid in her being a phenomenally well rounded therapist. Though I have only been with her a month and we have a long way to go, there is a hope now that I didn't have before "meeting" her. Grateful for her! Beverly make me feel better each time. She understands and makes me feel like she cares and wants to help. She gives me great advice and tools to work through my struggles. Beverly is so very caring and attentive! It makes all the difference when you are feeling down and she checks in with you just to see how you are doing, even though you haven't reached out to her. She's wonderful! She reaches out to me even when I don't respond it's nice to know someone is thinking of me. Beverly is a very proactive therapist who started right away with constructive advice. Beverly has been great. She is relatable while remaining professional. I look forward to working with her more in the future! Beverly keeps me grounded through this trying time. She is someone I feel safe with. Beverly helped me get over my fear of asking for help from someone in person. My mental health had been declining rapidly and I knew I needed to see someone ASAP, but my anxiety kept me from reaching out to someone in person. This app, and Beverly especially, helped me finally jump out of my comfort zone so I can get the help I need. Beverly is very helpful. She doesn’t judge and she responds to my messages very quickly. She understands me and my situation and I would recommend Beverly to any of my friends or family. I came to better help at a time when I was struggling with some relationship issues and was paired with Beverly. Over the course of several months, she helped me build a foundation of strategies and understandings so I could feel more confident and positive about who I am and how I interact in stressful situations. Beverly was always very positive and understanding, and I highly recommend her services to anyone in need of support during a challenging time. Bev is an amazing counselor, period. She is responsive, she understands, the online thing is just not what I need right now and she totally respects that. I would recommend her to literally anyone. Beverly responded really quick to all my messages, even though that several months passed since our first conversation. She understood my problems but she was not too pushy to ask details, she just let me to let out my thoughts which was exactly what I needed. We only changed a few mails but it felt good to talk to somebody. Beverly is a wonderful counselor. She got me to where I wanted to go, supporting me to make changes in my life with ease. I appreciated her care, availability, and methods that kept me focused, feeling supported, and moving towards my goals. I made a number of changes in my life that I had been wanting to in the time we worked together. After working with two other counselors here, I am glad I connected with Beverly, she was the right match for me! Beverly believes in a holistic approach by changing patterns in your life which takes a lot of practice and reminders. I appreciate the exercises she gives me and the ability to guide my own therapy and what I would like to discuss. This is my first time trying therapy, but I've found it to be overall positive and wish I had the time and commitment to work more with Beverly. I just wanted to let you know that Beverly is a great counselor! She really helped my husband and I work through some difficult issues and mend our marriage. She's pleasant and intuitive. I've had a lot of therapy in my life and I would say she's one of the very best. My husband is not a fan of therapy but he liked Beverly as well which says alot about her. Thank you for providing such a great service. Beverly is very nice, I've really enjoyed my time with her. She clearly knows what she is doing and is a very gentle soul - which is a great quality for someone offering therapy. I would recommend her to anyone. Although it is still early on, I'm extremely happy with Beverly Rivard so far. She has made me feel comfortable and safe, and she has given me suggestions that help me feel better while we're in the process of working through deeper issues. She responds the same day, and is always encouraging and supportive. Beverly Rivard is a wonderful kind and compasionate healer. Working with her has been a delight. I am on my way to recovery. I love Beverly Rivard - during a particularly stressful week, with little time to seek support or solutions, the idea popped into my head: "Skype Therapy." Although we communicate through this platform, Beverly has patiently adapted to my particular needs and style - I'm an MD and I needed some confidential emotional support. She has been thorough, specific, and it's obvious to me that she actually reads the long emails I write - I'm so impressed. I recommend Beverly to anyone looking for and intelligent, compassionate, and responsive therapist. Beverly provided great support and guidance to me at a very low point in my life. Her caring, non-judgmental approach helped remind me how important it is to take care of myself. I will definitely seek out Beverly's counsel again in the future, should I need it. Beverly is insightful and wise, and she shares her insights in a clear and helpful way. She is gentle and supportive, and challenges in a sensitive way where appropriate, whilst always pointing out the positives and reminding me how well I am doing. Thank you, Beverly! Beverly is great as she really listens to me and establishes a rapport which is so important to helping me talk more and to open up. She offers suggestions and doesn't try to overwhelm me with information but rather eases me into thinking about things differently. Beverly was very gentle and caring. She made me feel understood and helped my develop positive coping responses to my anxiety. Beverly is incredibly helpful and kind. Beverly is absolutely amazing. This lady works a miracle. Thank you for your ears and your voice. Your an amazing therapist! Much love. Excellent advise, practical and easy to follow. She is very understanding and has been a great help. Beverly seemed honest and interested in my dilemmas and rantings. She gave me immediate help with a request I made for a meditation tape. I would recommend Beverly Rivard as a great initial contact for this website. Beverly is incredibly responsive, and provides excellent suggestions while also acknowledging what you're struggling with. I would reccomend her to anyone in a heartbeat. Very gentle person, she gave me some good advice, always trying to take my conditions into account. I couldn't have asked for anything better than to be matched with a counselor such as Beverly Rivard. She is very sensitive and caring, and she respects your difficulties, be it about the time that you need to take before accepting to address some problems, or be it about other things. Coming from a non-English speaking country, I am not always very precise about the things I want to talk about, and she has been very understanding of this and it's very clear that she's used to interacting with people from different cultures. She makes you feel accepted. Beverly is very helpful, she carefully reads everything I wrote and responds to every word and issue. She takes interest and gives a feeling of being cared for. I was really skeptical about the idea of counseling, but Beverly makes it a very helpful and good experience! I was enjoying my journey with Beverly, very relaxing to talk to, and approachable. she gave me very good tips and tools to use and I really felt a difference. Beverly is always swift with her replies and very supportive. I am very happy that I have met her through this program! Thank you, Beverly! Beverly has helped me more than most of my previous therapists in short period of time. The BetterHelp model works for me as I can send or compose messages when I please, and don't have to book appointments to wait days. I can write my thoughts sporadically and send messages when required. Beverly listens to me and responds quickly. So far I am truly pleased with the help. Beverly is an excellent listener. Sometimes I feel like my problems are very minor and that my successes are very small, but she's so encouraging about everything. She believes in changing your attitude, which honestly, over time, really works. I've really noticed a change in myself. I've noticed that in general, I feel more positively toward myself and my own feelings. I have more patience with my emotions. Thank you so much, Beverly! I never wanted to get help because I find it very hard to open up. However, Beverly's kind and loving personality made it easier to open up to her. She is very patient and understanding. Instead of keeping my problems to myself, I find myself eager to discuss my problems with Beverly. I have been talking with Beverly for about four months now and have found her way of working very effective. She has given me hands-on advice on how to manage tricky thoughts, emotions and situations. I find Beverly to be a very caring person and someone who is not afraid to tell me which areas I could improve on, but always in a respectful way. I highly recommend her! I happened to find this website when I was very anxious and worried about my declining state of well being. Luckily, I was matched with Beverly Rivard and just after a few letters to each other I started to feel much better. Beverly understood right away the underlying issues I was having and her kind and gentle words of wisdom and support stayed in my mind that I continue to repeat to myself when I am starting to feel down. Her responses are prompt and very helpful. She addresses every single thing you write to her and responds with helpful tips to get you away from that dark place. I couldn't be happier with my match through BetterHelp. Thank you, Beverly! Beverly has been kind, patient, understanding and inspirational. I always feel heard. I opened up more than I ever thought I would and I never felt judged. I've been noticing great improvements with her advice. I'm thankful I got assigned to her. Thank you for helping me to find my confidence back and thank you for finding me ways to release my stress issues. You were always there and responding so quickly to my messages and were so kind. I will miss you! Thank you. From my online conversations with Beverly, I have found her to be compassionate, responsive, wise, worldly and keen to create positive change, as well as looking at historic pain and patterns, which I find a great balance. Beverly helps tremendously in making you feel good about yourself despite all the issues you might be facing. Beverly has been a huge help to me in dealing with my stress! She is very understanding and easy to talk to. Her tips on staying mindful are extremely beneficial. Beverly was a really great help for me. She always gave me a good advice and helped me to look at things from a different point of view. Thanks to her, I was able to reduce the anxiety and stress during my everyday life. I would recommend her to anyone who is looking for a kind and patient counselor. She cares a lot and always asked how things are going if I didn't respond for a few days. I really appreciate Beverly's patience with me--she checks up on me to see how I'm doing and works with me to figure out the source of my issues and offers valuable insight on how to move forward. Beverly was a great resource for me. She is very kind, patient and gentle in her approach. She gave me several tools to use on a daily basis to deal with my anxiety issues and this has been such a valuable resource. Beverly is exceptionally adept at picking up on who I am as a person, and as a result is able to render assistance fairly quickly; which is something I needed personally to provide some hope that life wasn't really as confusing, and I wasn't nearly as powerless as I had believed. Identifying my primary obstacles to piece and hapiness and communicating to me that I did not have to wait passively for a better world to present itself to me, and instead have the power to make changes myself. While I have just begun working on the logistics to make those changes, it is already clear that the Beverly's counsel in the area may be one of her greatest strengths. I would highly reccomend Beverly as an on-line counselor, because not only does she possess the skills to provide quality services, but she is a very good communicator via written word. Much good knowledgable help and attention. She has really helped me keep on a better track. She is the most caring kind and warm soul. She gives practical advice and guidance that is easy to follow so it helps me straight away. At the same time, she is very in depth. I feel so blessed to have her as my counselor. I found Beverly to be a deeply caring and wise counsellor. Her very down to earth and practical approach has helped me to treat myself with far greater self care and compassion. Her advice and insights were worth their weight in gold! It's a bit early to tell, but I feel like she very quickly understood my issues. She also did chase me for response when I remained silent for a while. Would you like to write a review for Beverly Rivard? We'd appreciate if you can spend a couple of minutes to write a short review for Beverly Rivard (LCSW, MAC). This review would be shared with Beverly Rivard. It may also be posted in our website or in Beverly Rivard's profile but it would be anonymous and your identity would be kept completely confidential.